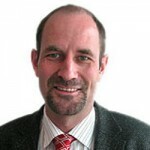 Christoph Benn joined the Global Fund in 2003 and is currently the Director of External Relations. He has been responsible for building and maintaining good relations to all Global Fund partners and mobilizing resources for the Global Fund almost since its creation in 2002, through the management of replenishment conferences and spearheading innovative approaches to resource mobilization including (Product) RED and Debt2Health. Prior to joining the Global Fund, he worked as a clinician in the UK, Germany and as Doctor-in-Charge of a rural hospital in Tanzania. Christoph Benn has more than 20 years of experience in global health with a special focus on AIDS and infectious diseases.